The north-south trough running from Chhattisgarh to Karnataka. This trough has been inducing moisture over Karnataka including Bengaluru. 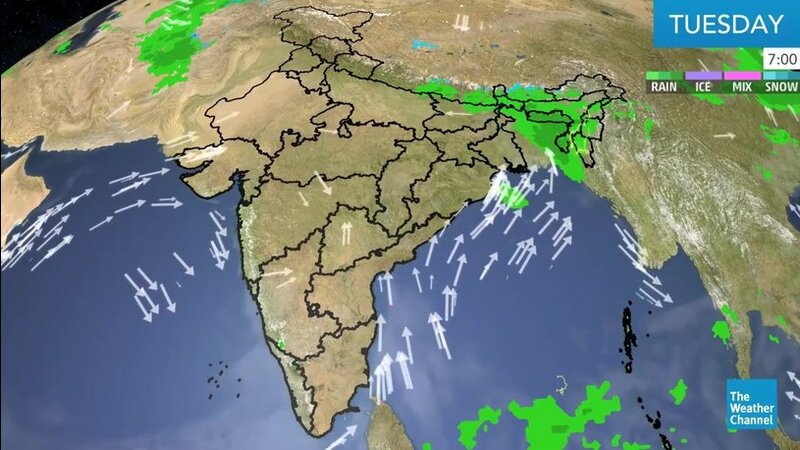 As per weathermen, spell of rain and thundershower along with strong gusty wind would occur over Bagalkot, Bangalore Rural, Belgaum, Bellary, Bijapur, Chikmagalur, Chitradurga, Dakshina Kannada, Davanagere, Dharwad, Gadag, Gulbarga, Hassan, Haveri, Kodagu, Koppal, Mandya, Mysore, Raichur, Ramanagara, Shimoga, Tumkur, Udupi, Uttara Kannada and Yadgir districts during the evening hours. Further, as per the weathermen, conditions would remain favourable for some more showers during the next 24 hours as well. Since these are pre-Monsoon showers, the intensity would be varying from time to time and activity would be patchy in nature. As mentioned before, rain in Bengaluru would be confined to evening hours only. Thus, day would, particularly the peak afternoon hours would continue to be warm.